Have you guys know that in Q11, there is this 10 minute segment that will keep you glued to the screen not only because of the food but also because of the chef. Yes, I'm referring to Quickfire by Rosebud Benitez - my newest favorite chef, hehe. Not familiar with her? It's about time you get to know her. Altho we got limited info about her, and she's already a mom. We simply let her photos do the talking. 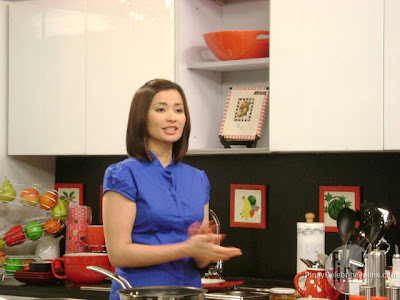 Quickfire's timeslot is Monday to Friday: 10:30 am, 11: 50am, 6pm and 7:10pm, Saturday : 9 pm and Sunday: 9 pm and 11 pm.